Beautifully remolded 2 bedroom 2.5 bath home located in the sought after Town homes of North Lake. 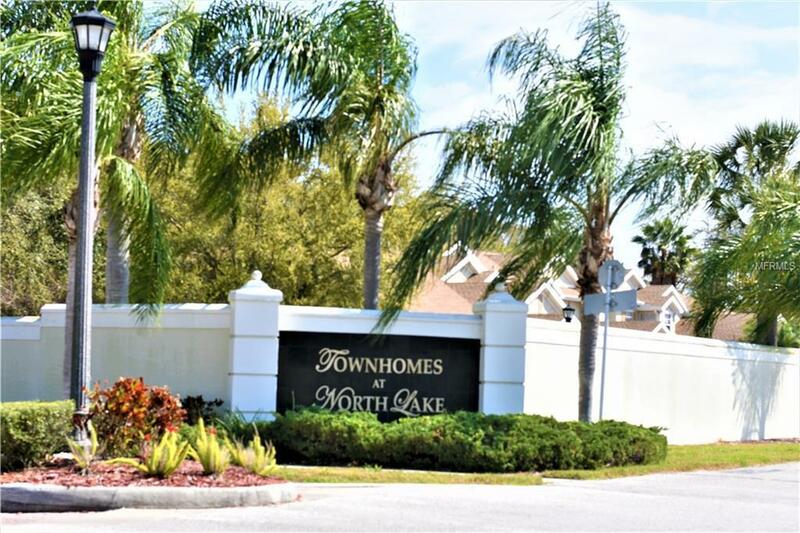 Which is a gated lakefront community located Tarpon Springs off of Keystone Road. The Kitchen has been totally updated with beautiful porcelain floor, cherry wood cabinets, stunning granite counter-tops with all GE stainless steel appliances. The living room dining room features hardwood floors with large sliding glass doors which leads you to an enclosed screen in patio with an extra 4x6 storage room. Upstairs is 2 bedrooms and 2 FULL baths. Master suite was completely redone in 2014. Community included swimming pool, fishing pier on Salt Lake and the Pinellas Trail is right outside the gates. This home is an easy commute to Tampa-Pinellas & Pasco. Truly a move in ready home!